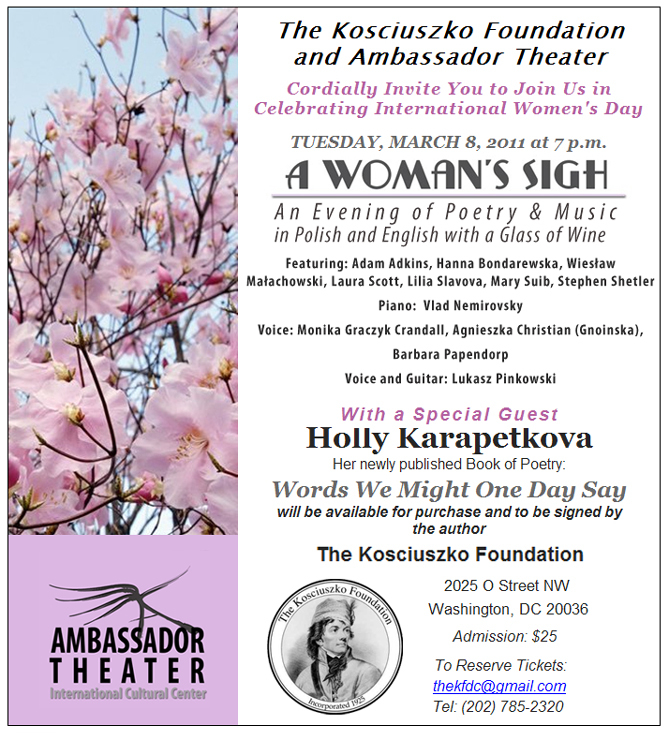 Ambassador Theater Invites you to The Literary Cafe at the Kosciuszko Foundation, in Celebration of the 100th Anniversary of the Birth of Czesław Miłosz, poet, critic, prose writer, translator, and Nobel Laureate. Czeslaw Milosz was born on June 30, 1911, in Szetejnie, Lithuania. his first collection of verse appeared in 1933. He spent most of World War II in Nazi-occupied Warsaw working for underground presses. After the war, he came to the United States as a diplomat for the Polish communist government. In 1950 he was transferred to Paris, and the following year he requested and received political asylum. He spent the next decade in Paris as a freelance writer. In 1960 he moved to the United States to become a lecturer at the University of California at Berkeley. In 1980, Milosz was awarded the Nobel Prize for Literature. He also translated the works of other Polish writers into English, and has co-translated his own works. His translations into Polish include portions of the Bible (from Hebrew and Greek) and works by Charles Baudelaire, T. S. Eliot, John Milton, William Shakespeare, Simone Weil, and Walt Whitman. Czesław Miłosz died on August 14, 2004. Reserve Your Seat at the CafeReserve your tickets online or call us. The tickets will be held for you at the door. Cash or Check: $25 includes the performance and reception. Ivo Kaltchev is a winner of international piano competitions, a Bösendorfer Artist, Associate Professor of Piano, and Chair of the Piano Division at the Catholic University of America in Washington, D.C. Mr. Kaltchev is also a Visiting Professor at the China Conservatory of Music in Beijing and Co-Director of the Washington International Piano Festival.